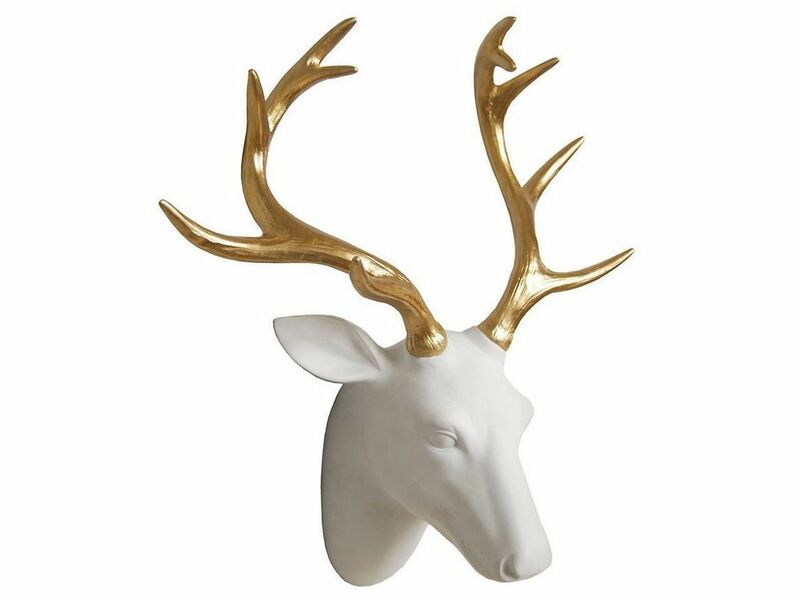 At nearly half a metre in height, this handsome white stag head trophy is striking and impressive wall art that will wow your guests. Made from resin with a bright white finish, the antlers wall hanging will instantly lift and freshen spaces, creating a bright, eye-catching focal point. The golden antlers on this white stag head complete the look to exude a wonderful sense of luxury - a fitting tribute to one of nature's finest creatures. This wall mounted stags head is also available in other colours.